Accelerate your sales cycle by automating quotes, managing pricing, and performing tasks in seconds. With QuoteDesk, one login instantly provides access to carrier pricing that you manage and control all the way through to a sales-ready quote. 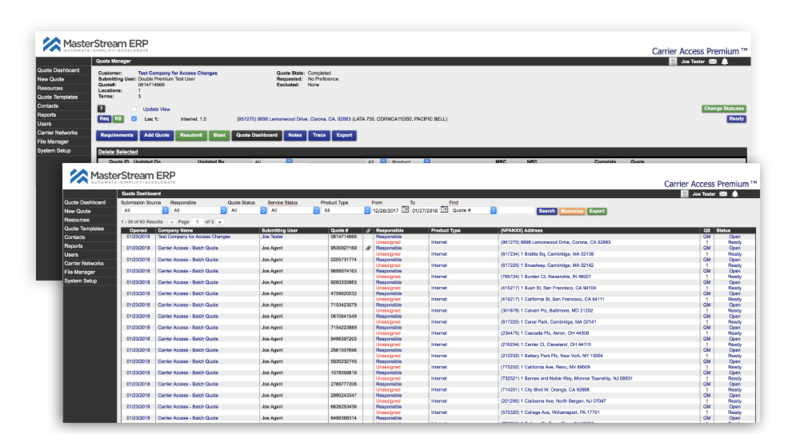 Providers looking for a better way to manage their own portfolio of services use QuoteDesk to easily distribute up-to-date, accurate pricing to their sales teams. Why? 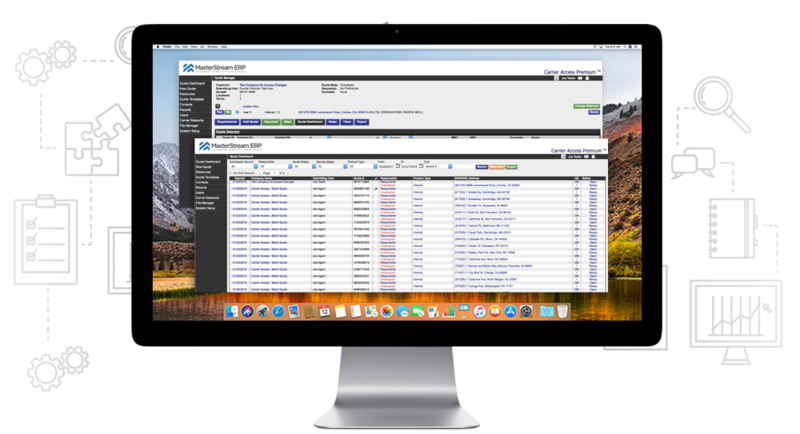 Because QuoteDesk allows salespeople to instantly get a quote without the need to wait for updated spreadsheets or other outdated methods of pricing. Logging into QuoteDesk also allows quote desk teams to instantly return pricing options and provide quotes, empowering sales and quote teams to produce their own complex quotes in a fraction of the time it takes using conventional Carrier methodologies. With QuoteDesk, sales tasks that previously took hours, days, or even weeks now take just seconds. Product and marketing teams love QuoteDesk because it elevates their ability to efficiently manage their product catalog. 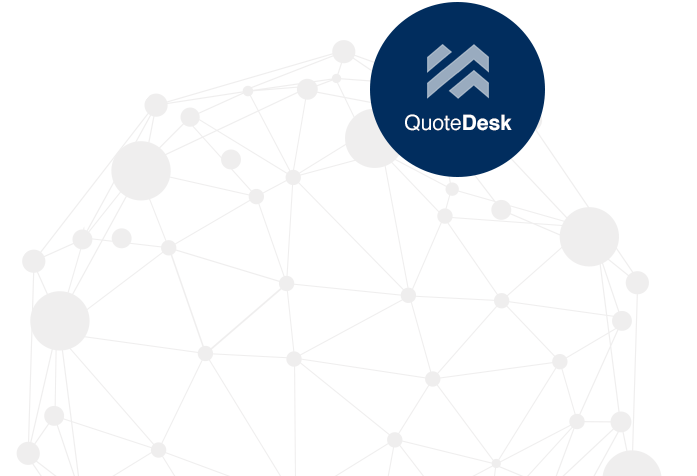 With QuoteDesk, you share the quote, not the margin. It provides tremendous flexibility in how you manage the profitability within your business and makes it available to your teams instantly. The Internal workings of your business are secure – create and distribute rules that apply to your sales, without exposing them to the sales team. In addition, back-office product catalog management is simplified and can be updated on the fly – making outdated spreadsheets or expired pricing a thing of the past. Customize and manage your catalog in a variety of ways – select margins by SKU, product type, or even term. Gone are the hours and days spent wading through multiple partner portals and pricing spreadsheets to find the best pricing for your customer and then piecing all of that together to create a quote. 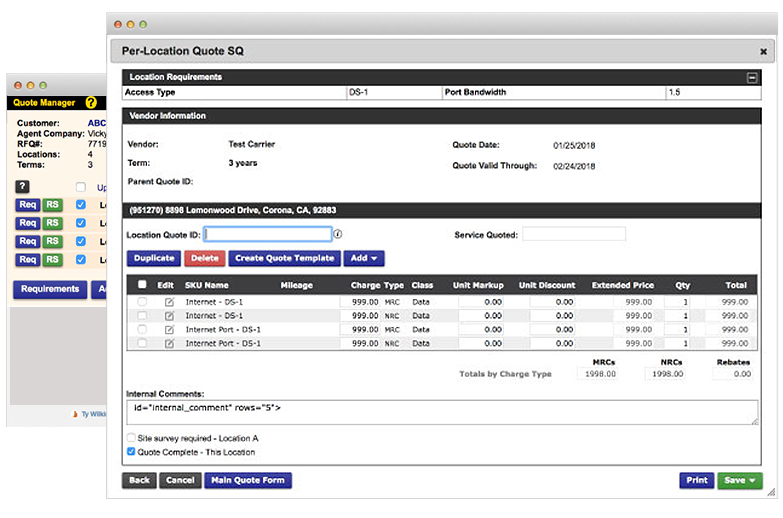 With QuoteDesk, finding pricing information is as simple as logging in, entering an address, and instantly reviewing which of your connected providers serves that business location. And once you’ve selected your pricing, QuoteDesk automatically produces a professional, finished quote ready for distribution. Quickly transform off-net costs into a finished, sales-ready quote. And because it’s automated, the system handles the tedious administrative tasks involved with obtaining costs, adding markup and managing margins. 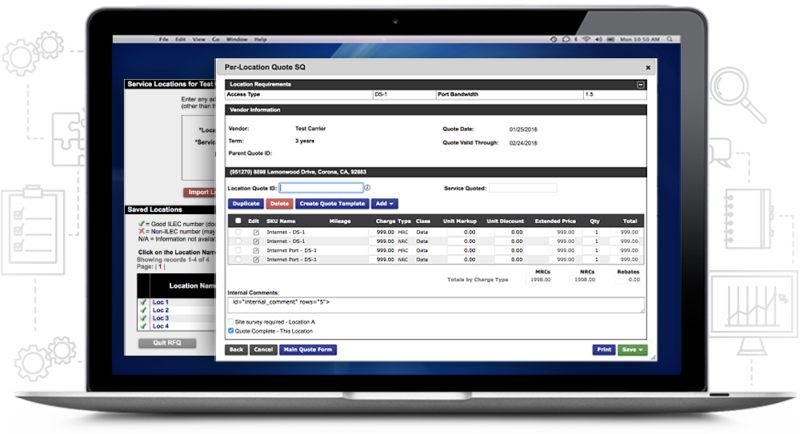 With QuoteDesk, you share the cost, not the margin with your sales teams. Share the quote, not the margin. Create and distribute rules that apply to your sales, without exposing them to the sales team. Get tremendous flexibility in how you manage the profitability within your business and make it available to your teams instantly. Harness the power and flexibility of QuoteDesk to change pricing in the field – including discounts and promotions – on your own terms. Make changes based on geography, product type, SKU, promotion, etc. Join our online community to reach and be seen by the active group of MasterStream agent subscribers. QuoteDesk give you, as a Service Provider, the power to combine your own product catalog with the services of underlying Providers in your quotes. Flexibility is at the heart of every MasterStream solution – and QuoteDesk is no exception. It’s designed to allow you to apply customizable process configurations so you can scale the system as you scale your business - all without the need for complete process overhauls! QuoteDesk is easy to implement, easy to learn, and an indispensable tool for companies looking to implement best-of-breed processes for fast and efficient sales growth. Access pricing for all your connected carriers networks across all product types. Login to one place and instantly access all of the results you need to find the best pricing for your customer. 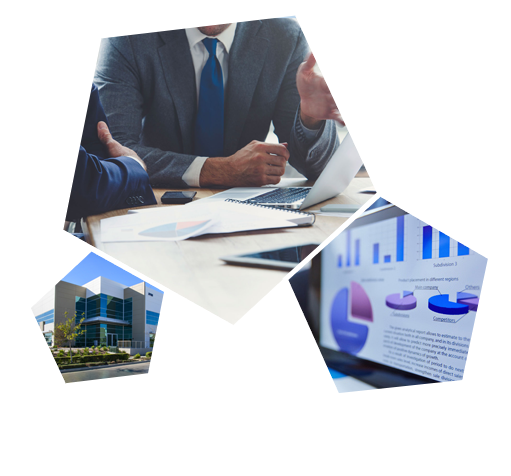 Whether your customers’ businesses have one office or multiple locations, CarrierAccess gives you instant access to pricing results for business needs of all sizes and all locations. Sourcing reliable pricing for larger customers can be a tedious, time-consuming job. With CarrierAccess's batch capability, upload your pricing needs – up to 50,000 rows at one time – with address validation and access costs. Share the quote, not the margin. Get tremendous flexibility in how you manage the profitability within your business and make it available to your teams instantly. The Internal workings of your business are secure – create and distribute rules that apply to your sales, without exposing them to the sales team. Reach and be seen by agents and other telecom professionals in our community of over 10,000 agents in our MasterStream community. As a Service Provider, combine your own product catalog with the services of underlying Providers in your quotes. Automatically create finished, professional quotes to tur Naround quickly to your sales team. Track your sales with automatically-created standardized reports that can be sent to specific employees. We create software that the telecom industry turns to when they have chosen to become better at what they do. Our software connects people with people, empowering an industry and accelerating growth. We make possible, smart, efficient processes and automation that turns leads into orders. We stand for an industry being connected and doing it better. "MasterStream is what powers our portal for all of our agents across he nation. It's a simple, fast and easy way to get quotes, take orders, and bring it all t fruition and track it all the way through to the commission process." Every sales organization is different. Because of this, systems should work with the way you’ve chosen to go to market, not box you into processes driven by rigid systems. In addition to working the way you want to work, Quote Desk organizes and supports the multiple channels within your organization. Direct Sales, Agents and VARs, wholesale/carrier sales, and blended channels all have customizable flexibility to assure each channel is operating at peak efficiency. Learn how our custom solutions allow businesses to automate time and accelerate revenue.